OK, I know that title is just a little weird. But, I don’t want to tell you where I spent last weekend just yet. I will say that it’s one of my favorite events of the year. 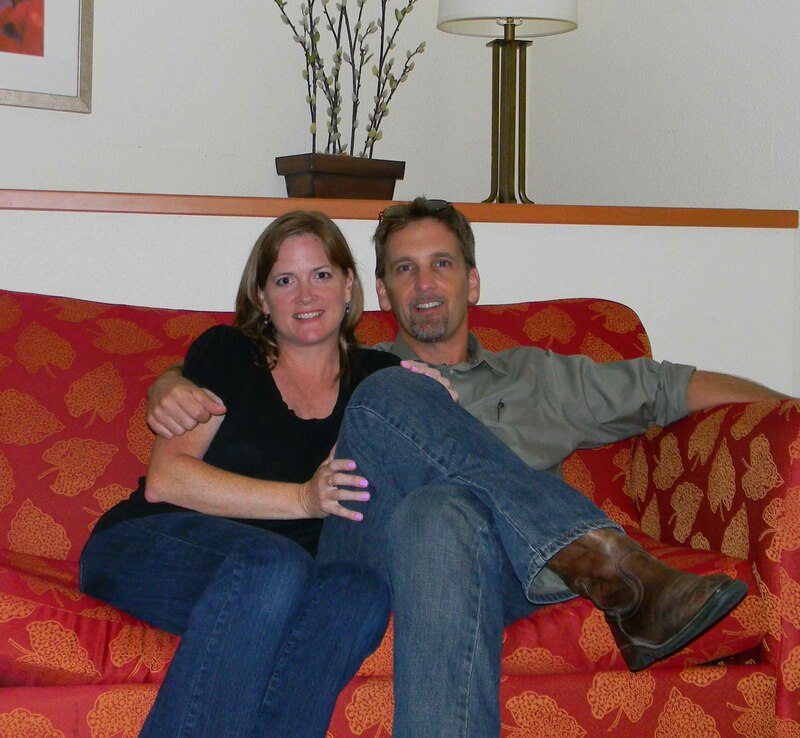 I’ll tell you I went with my husband–just my husband, no kids! (Thanks, Mom! )–and that we were able to spend time with old friends while there. I’ll even tell you what you’d have seen if you’d been there: A sea of strollers, gaggles of well-behaved children, lots of nursing mothers, and more books than you’ll ever see outside a public library. Have you guessed it yet? The reason I didn’t want to tell you up front that we were at the home school convention is that this post–like much of the convention itself–isn’t about home schooling, and I don’t want you to quit here just because you might not be a home schooler. About relationships with others, and relationship with God. 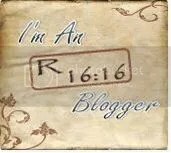 If you’d been there, you could have attended workshops on how to be a better, more supportive wife, how to get your children to do chores, how mothers can make their homes places of spiritual influence, and how fathers can better encourage their wives. You could have received instruction on how to prepare your children for real life, how to organize your home, and how to teach your kids the Bible. You could have been advised on how to teach children to follow instructions, how to keep them motivated, how to help them love reading…..even how to help them choose a spouse! You might have attended classes for dads who want to read aloud to their children, or for moms who want to provide better nutrition for their families. You’d have been able to hear why we should read fairy tales to our little ones, how to nurture competent communicators, how to parent in an internet age, and how to fan the dreams of the people we love. Yes, of course, there were also classes on how to better teach math, and language arts, and P.E., and Latin, and art, and a variety of other subjects…and yes, they were helpful. But what I came away with was a strong desire to be a more supportive and encouraging wife, and a more fun, nurturing mother. 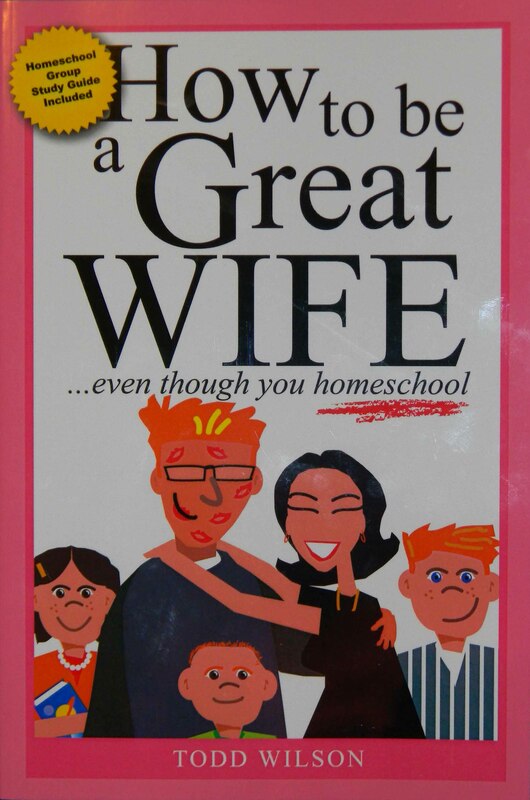 How to be a Great WIFE…even though you homeschool! Even this book–or at least what I’ve read so far–is less about home schooling and more about making your husband’s needs a priority. So far, I’d recommend it for ANY wife who wants to improve! Troy got a couple of great “dad books,” too, so we’ve got a nice little stack of motivation on our bedside tables now. I’m also thankful that the conference coordinators had the foresight to realize that, after all the mind stretching and soul searching we’d be doing, we’d need some comic relief thrown in. 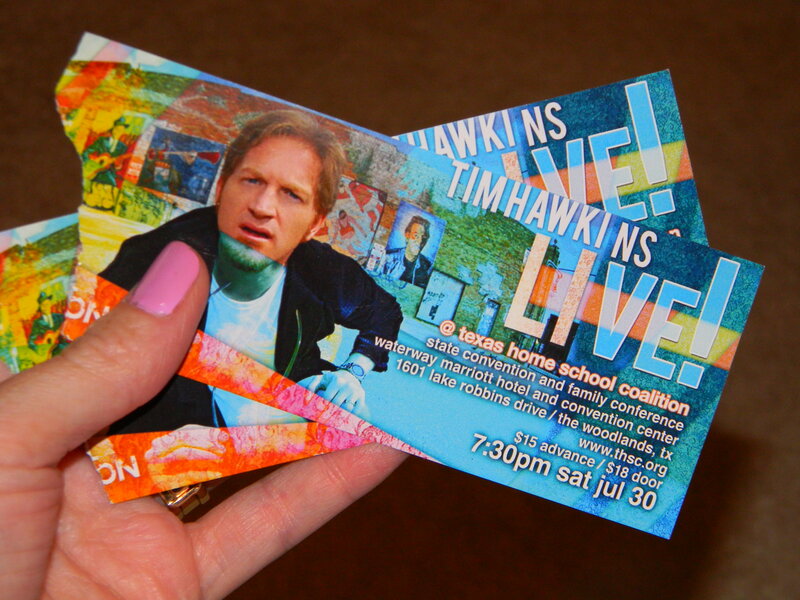 So, they scheduled two performances of Tim Hawkins, our all-time favorite comedian, so that we could laugh ’til we cried before heading back to the real world.